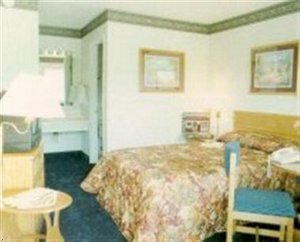 The AMERICAS Best Value Inn in Princess Anne, Maryland has guest rooms with ref/micro, hairdryer, 4 HBO, 4 ESPN and High speed internet access. We are 1 mile from UMES. Comfortable guestroom with 2 Double Beds. Rooms are furnished with Microwave, Refrigerator, Cable TV with 4 HBO Channels and Hairdryer. Join Best Value Inn and Golf Across the USA in supporting children's charities. Comfortable guestroom with 1 Queen Bed. Rooms are furnished with Microwave, Refrigerator, Cable TV with 4 HBO Channels and Hairdryer. From the airport, go Southwest on Airport Rd toward Ward Rd. Turn right onto MD-12 N. Merge onto US-13 S via the ramp on the left toward Norfolk. End at 30359 Mount Vernon Rd. * Peaky's Restaurant & Lounge - on site * McDonald's - across street * Hardee's - across street * Pizza Hut - across street Food can be delivered from different restaurants. 1 mile to the property. 35 miles to the property. 25 miles to the property. * Centrally located near recreation parks, crabbing, hunting, sailing, golf courses, surf fishing, deep sea fishing, and boating.